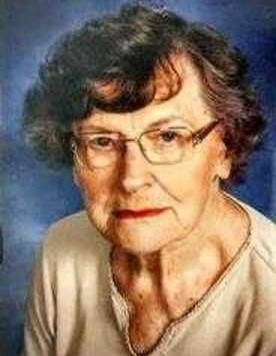 Mildred Jean Tevebaugh, 91, of Ellettsville, went to be with the Lord on Friday, July 20, 2018 at the Willow Crossing Nursing Home in Columbus. Born in Monroe County on March 9, 1927, she was the daughter of Arthur F. and Bernice (Scott) Dayhuff. She attended and graduated from Stinesville High School as class president in 1945. Mildred married Lewis Tevebaugh on June 22, 1948. He preceded her in death on Sept. 30, 1982. She is survived by daughters, Jeanne Shaw (Charles) of Nashville, IN, Luanna Layton (Bill) of Fountaintown, IN and Amelia DeBruler of Indianapolis, IN; sons, Phillip Tevebaugh of Indianapolis, IN, and Kenneth Tevebaugh (Anne) of Shelbyville, IN; granddaughters, Shelly Wiggington (Eric) of Greenfield, IN and Adriana Brown (Jeremy) of Bloomington, IN; grandson, Michael Shaw of Rocky Mount, NC; great-grandchildren, Emma, Evelyn and Elenora Wiggington all of Greenfield, IN, and Gordon, Simon, and Cedric Brown all of Bloomington, IN; and niece and nephew, Diane Harvey (Mike) of Spencer, IN and Ivan Langley of Bowling Green, IN. She was preceded by parents; husband; sister, Carol Langley; and a stepson, William Tevebaugh. Funeral services for Mildred are Tuesday, July 24, 2018, at 3 p.m. at the Lifeway Baptist Church in Ellettsville, IN. Calling will be on Tuesday from 1-3 p.m. at the church. Burial will be on Wednesday at 10 a.m. at New Palestine Cemetery in New Palestine, IN.